Connie Bombaci will be traveling to this wonderful crafts fair with her companion, Judea, who demonstrates what wonderful four-legged members of the family deaf dogs can be. 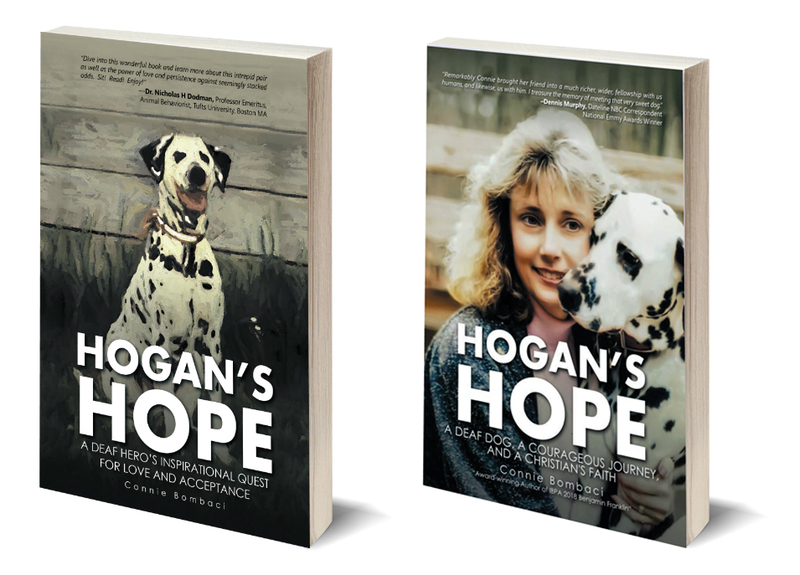 Personalized copies of the multi-award winning book, Hogan's Hope, will be available for purchase with all profits being donated to local missions. The multi award-winning book, Hogan's Hope, will be at this year's Shoreline Spring Festival & Pet Adoption. 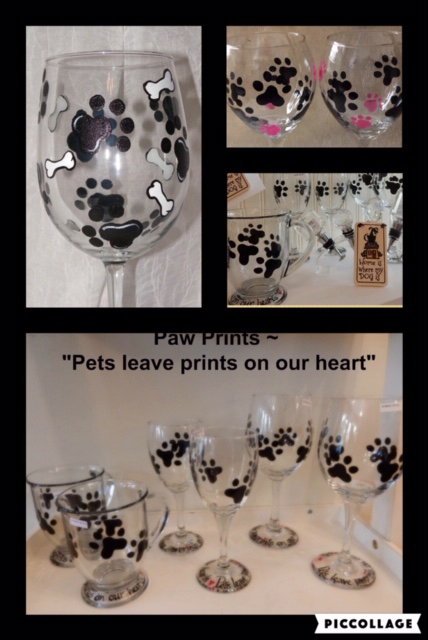 Creations by Sandra will be complementing the booth with beautiful, hand-painted glassware. Visitors can obtain author-signed copies as a very special edition to their book collection or as thoughtful gifts for family and friends. Add a unique and very special glass as well. Portions of the profits from the sales will be donated to our deployed soldiers and animal rescue. Come enjoy a walk on the Madison Green, meet the author, and get a special author-signed copy of Hogan's Hope. Remember, as an added bonus, you can get a complementing glass or mug to sip your favorite beverage as you read! 60 artisan booths and specialty foods will offer a variety of items for visitors. Many dogs and cats seeking new homes hosted by the Friends of the New Haven Animal Shelter. Hogan's Hope will be in attendance at the New Brunswick Kennel Club' March Madness Cluster. 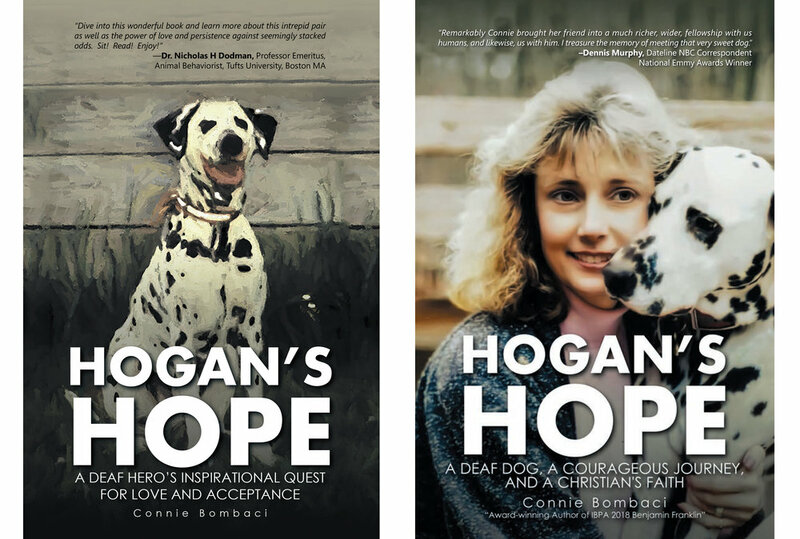 Award-winning author, Connie Bombaci, will be selling and signing both editions of her book - Hogan's Hope: A Deaf Hero's Inspirational Quest for Love and Acceptance (secular) and Hogan's Hope: A Deaf Dog, A Courageous Journey, and A Christian's Faith (Christian). Author-signed copies make outstanding additions to personal libraries as well as special, personal gifts. Hogan's Hope is more than the story of a deaf dog and how he overcame prejudice and myths. It's an inspirational tale of hope, a story like none other. Four independent group shows will take place on Thursday evening. The New Brunswick Kennel Club's two All-Breed Shows will take place on Friday and Saturday. Sunday, March 24th will feature the Bronx County Kennel Club's Show. Unique opportunities are available for everyone with a variety of products and services being offered. An estimated 1800 dogs will be in attendance on Saturday alone! Come join the fun and see your favorite breed in their finest. Don't miss out on the Family Pet Expo this weekend! Once again, they will be hosting multi-award winner, Connie Bombaci, with her book, Hogan's Hope. She will be available to personalize copies and will be accompanied by her deaf pup & service dog, Judea. Family Pet Shows is a family owned and operated the company that for nearly 20 years have successfully hosted pet expos beginning in 1994 in Pennsylvania. The company now hosts five different pet expos annually in New York, New Jersey, and Pennsylvania; the Long Island Pet Expo in the Park (2 days, outdoor in September); Long Island Pet Expo (3-day event held indoors in March); The Greater Philadelphia Pet Expo (3-day event indoors in January); the Lehigh Valley Pet Expo (a 2-day indoor event in February), and the New Jersey Family Pet Show (a 2-day indoor event in Nov 2015). Family Pet Shows, formerly known as The Horse and Pet Expo, is run by husband and wife team Karen and Dennis Garetano and their son Joe Garetano. In 1994, after years of publishing Horseworld USA magazine, they thought of the idea to host a horse expo in Pennsylvania and held their first show in 1994 Fort Washington, PA. After two years of successfully hosting the first horse expo, they expanded the show to include other pets and changed the name to Horse and Pet Expo and began adding new locations. Throughout the years and additional shows, Family Pet Shows has grown in size and popularity in each location. Dogs on leashes are welcome. Kids have great fun! 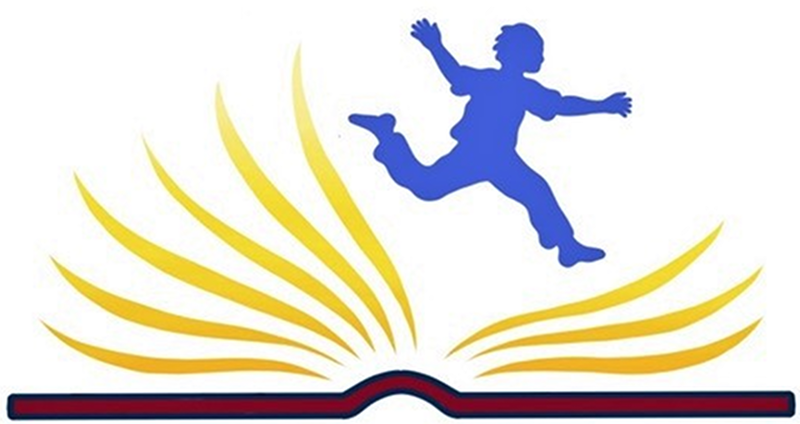 Connie Bombaci with her award-winning book, Hogan's Hope, is returning to The Storyteller's Cottage! 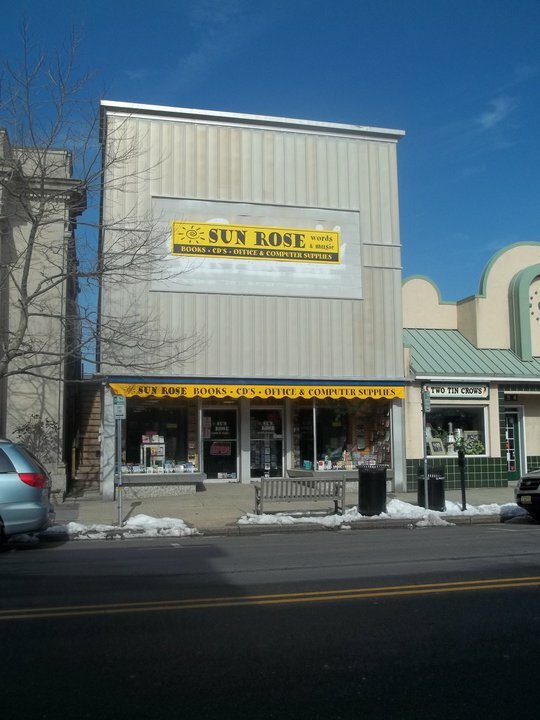 Come to this enchanted place of great literature and a welcoming atmosphere. Three authors will be reading from their manuscripts and answering questions from guests. The evening promises wonderful camaraderie with a gracious staff. Author-signed copies of these featured books will be available for everyone to add to their personal collection or give as an extra special gift. Come alone, bring a friend, or get the book club together, grab a bottle of wine and find a new book for your next meeting! Enjoy a light reception afterward. Do You Have Hogan's Hope? 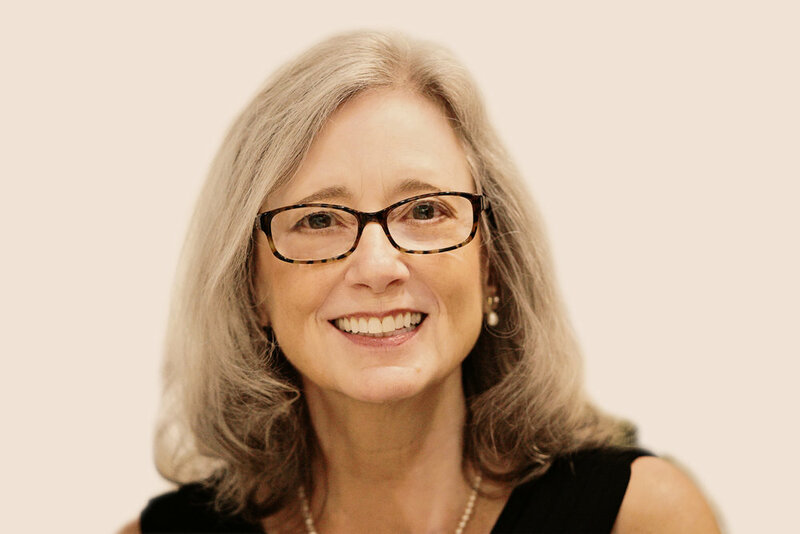 Patrons of the Acton Public Library in Old Saybrook, CT, are invited to a presentation by Connie Bombaci on her award-winning book, Hogan's Hope. Judea, Connie's deaf dog, will be greeting folks and demonstrating what wonderful family members deaf dogs can be. Personalized copies will also be available for purchase. The award-winning author, Connie Bombaci, will be signing her book, Hogan's Hope, at the Booklovers' Gourmet! Personalized copies make wonderful gifts, and shoppers can get a very special present as well as an early start on holiday shopping. Connie Bombaci, a retired educator, is resolute in her love for animals, belief in the goodness of all God’s creations, and desire to provide encouragement no matter what the challenge. She appeared with Hogan on Oprah, Dateline, Jack Hanna’s Animal Adventures, and Amazing Tails and lives with her family in Connecticut. The Big E is a great event for everyone of all ages. From agriculture, car shows, horse exhibits, crafts, food, and BOOKS! The award-winning author, Connie Bombaci, will be signing her book, Hogan's Hope, in the Connecticut Building. Personalized copies make wonderful gifts, and attendees can get a very special present as well as an early start on holiday shopping. Profits from the sales of the book, Hogan's Hope, will be donated to non-profit animal organizations such as the CT Humane Society and deployed service personnel. - Rosie Malezer, Readers FavoriteHogan appeared on television shows including Dateline NBC, Oprah Winfrey, Jack Hanna’s Animal Adventures, Amazing Tails, and others. Fun Fact: If you have a library card in Connecticut you can borrow items from ANY PUBLIC LIBRARY in the STATE!!!! The Library Hop is here to foster solidarity in buildings old and new, welcoming all to places with sunny reading nooks or a spot to chat with a friend. We are here for the library love and glad you are here to join us. Book Club with 2 Traveling Dogs Fans! 2 Traveling Dogs Fans! is an amazing group of people who love their dogs. If you are interested in being a participant in any of the discussions, be sure to ask to join this closed group of special folks. Connie will share her experiences in writing her manuscript and how the Lord inspired her to publish the book, Hogan's Hope: A Deaf Hero's Inspirational Quest for Love and Acceptance. Hogan's valiant journey from severe abuse to triumphant success is revealed in this revised version which includes guiding Scriptures. Deaf dog, Judea, will also be appearing in order to demonstrate what wonderful and loving family members deaf dogs can be with love and acceptance. 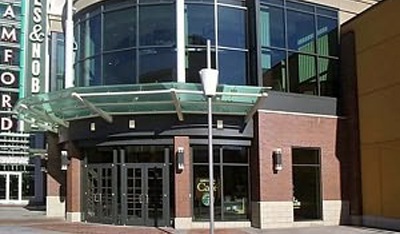 Once again, because of the overwhelming success of past visits, authors, Connie Bombaci and Shawn Flynn, return to the Barnes & Noble in Stamford, Connecticut for a fifth time! These award-winning authors will be on hand signing their books, Hogan's Hope and THE KITTY. Judea, deaf dog, will greet visitors and demonstrate what loving family members deaf dogs can make. Love and acceptance are the key ingredients! Come celebrate the Memorial Day weekend and surprise your favorite people with personalized copies of these award-winning, heart-warming stories. Book readers will be able to obtain their very own, author-signed copies of the award-winning books, Hogan's Hope and THE KITTY. 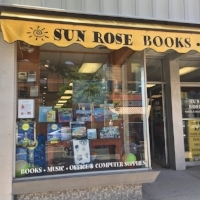 Authors, Connie Bombaci and Shawn Flynn, will greet visitors along with a special guest, Judea, the deaf dog who understands American Sign Language and loves meeting everyone. With Mother's Day on Sunday, these make wonderful and extra-special gifts. Surprise all your mothers, grandmothers, aunts, friends ... with a personalized copy of two heart-warming, must-read stories! The women at the First Presbyterian Church in Newark, Delaware will be holding their annual craft at the church building. Author Connie Bombaci will be present with the Christian edition of her award-winning book, Hogan's Hope. Customers will be able to have books personalized and ready for Mother's Day! Connie Bombaci will be speaking with the women at the district meeting for women's clubs to present information regarding deaf dogs and the wonderful relationship that is formed when we offer unconditional love and acceptance. Connie's deaf service dog, Judea, will also be in attendance to offer a real-life demonstration of just how wonderful deaf dogs can be as family members. She also helps dispell the myths that surround deaf pups while circulating throughout the room to offer a wet, puppy kiss to willing participants. Connie Bombaci was selected in the audition to present a "tail" from Hogan's Hope. Anyone who loves a good story is in for a real treat. And if you love animals? Even better. Seats are on sale now for “Tell Me Another: Tails,” a storytelling show set for Saturday, April 21, 6:30 to 10 p.m., benefiting Connecticut Humane Society pets. Eight storytellers will take to the stage at the Town and County Club, 22 Woodland St., Hartford, to share personal tales (err, tails) of life experiences that all center around animals, according to a press release from the Humane Society. These aren’t once-upon-a-time, happily-ever-after fairytale stories. They’re personal, they’re emotional, they’re cry-from-laughing-so-hard hilarious, and they’re all real. Along with a great show, guests can also look forward to delicious hors d’oeuvres, drinks, and a silent auction (think getaways, works of art and culinary packages). The evening includes free on-site parking. All funds raised at the storytelling event will benefit lifesaving care of pets at CHS. Pets like Norman, a 3-year-old cat found outside as a stray who needed eye surgery in CHS’ medical department and has gone to a new, loving home. And like Mandi, a 10-year-old bulldog/boxer mix who had a mass removed and was monitored for a heart murmur at CHS before finding her new family. With each pet at CHS receiving full-service medical treatment — ranging from spays, neuters and vaccinations to more complex expert care — by a staff veterinary team, funds for medical care are needed more than ever before. Proceeds from “Tell Me Another: Tails” will support this lifesaving medical attention. 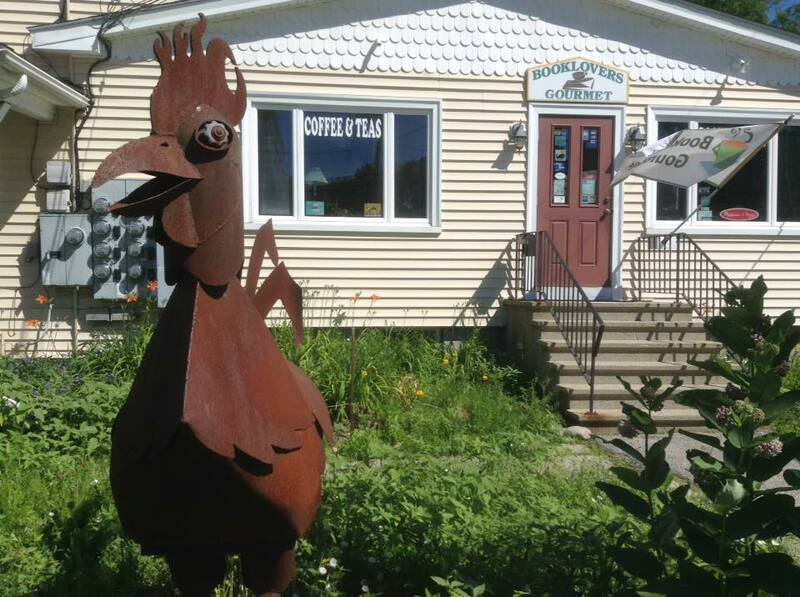 Reserve seats at chstails.auction-bid.org. Anyone interested in nabbing one of the eight storyteller spots can pitch a personal story to CHS by visiting bit.ly/TellYourAnimalStory. Five winners with great stories will be chosen for the opportunity and workshop their piece with Terry Wolfisch Cole, one of the event’s three featured storytellers.